If NZ does not end being ensnared in the TPPA or, even better if the TPPA doesn’t come into existence; that would mean that we would keep a modicum of control over our own affairs. What is stake here is national sovereignty, and there is no more important subject, indeed it’s been at the heart of the whole debate over the Treaty of Waitangi since 1840. Does that mean that CAFCA and other opponents of the TPPA are “anti-trade”? Of course not but we need to retain our national sovereignty, our ability to control our own destiny, and our right to pick and choose with whom we trade and which transnational corporations we let into our country and on what terms. I used the phrase “a modicum of control”, meaning that we’ve already lost plenty of our national sovereignty due to rushing lemming-like into a whole lot of other “free trade” agreements. For many performers (and New Zealanders in general really) it is difficult to make the link between the arcane negotiations for a Free Trade Agreement and their everyday lives. 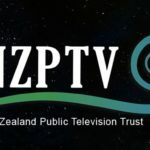 But of all sectors in the New Zealand economy, the film and television industry (upon which performers’ livelihoods depend) has been one of the most impacted by the whims of trade policy. This reliance is clearly demonstrated by our Government’s courtship of Hollywood – its willingness to alter employment laws to suit foreign studios, its eagerness to change immigration regulations to assist overseas producers and its readiness to provide one off cash incentives to the studios on request. US interests in lowering trade barriers for its film industry has a long history. At every step, the US have wilfully ignored local interests in sustaining a local audiovisual culture to ensure total market access for their film and television output. It is clear that the US is continuing to push the same concessions and more in the TPP. Despite attempts by the rest of the world to work together and protect cultural diversity through the UNESCO Convention on Cultural Diversity which NZ acceded to in 2007, this has failed to stem the pressure. It is our right as a sovereign nation to stand on our own two feet and put forward our own social, cultural and economic agenda. Performers are the living embodiment of our culture. Those rights must not be sacrificed in the TPP. FIRST Union is supporting the national day of action because the TPPA is the most significant affront to our sovereignty our generation have ever faced. We’ve already seen the impact that globalisation and free trade mythology has had on ordinary working New Zealanders – our jobs have been sold overseas and wages and conditions ground down through international competition. This new agreement is globalisation on steroids – it gives multinational corporations unprecedented power to intervene in our regulatory process to shape our laws. Any public interest – be it around workers’ rights, public health, environmental protection, financial stability, GMO labelling – will come second to the interests of foreign investors to profit. We simply cannot let this happen to our country. The TPPA could be disastrous for our country. Right here in New Zealand, it threatens our environment, which is at the core of our national identity, our economy and our way of life. And it could rob us of our own ability to make the cleaner, smarter choices, which give us a prosperous future. The TPPA could do all this by handing foreign corporations the power to overturn NZ laws if their profits are at risk. And it would even allow these foreign companies to sue New Zealand for introducing new laws that protect our oceans and our rivers from pollution. That’s why Greenpeace is here today. 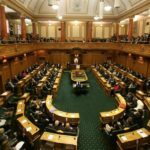 New Zealand First is deeply concerned at the undemocratic way the TPP is being negotiated and the risks being posed to New Zealand’s national interests. The public are being deliberately kept in the dark when decisions of great consequence for our economy are being made. We have no confidence in the bland assurances of National Ministers that all is for the best. Under the National Government time and again the interests of foreign corporations have been put ahead of the New Zealand national interest. The Service and Food Workers Union is strongly opposed to the TPPA. Our members need much stronger local and central government procurement policies to ensure they have secure work and a living wage. The TPPA will weaken government’s ability to act in this area. The TPPA is not about the interests of ordinary hard working New Zealanders, like SFWU members and their families. It is about the interests of multi-national corporates and their ever-increasing wealth. Education is a public good that gives all New Zealanders opportunity and hope to explore our potential, and contribute to our communities. But investment agreements like the TPPA break education into small private investments and then sell them out from under local people to private investors. Agreements that affect education should be democratically agreed to by educators and students, not secretly signed away by trade officials. The Maritime Union of New Zealand has consistently opposed free trade agreements including the TPPA. The effects of so-called free trade policies on the maritime industry has been severe around the world. New Zealand maritime workers are working with maritime workers around the Pacific Rim to oppose the TPPA. The TPPA has a hidden agenda and could lead to further loss of secure jobs, the downward spiral of wages and working conditions, and the undermining of many aspects of our national sovereignty and democracy. The TPPA must be stopped in its tracks. The Green Party considers that the process around deals such as the Trans Pacific Partnership agreement should be transparent. This agreement has been negotiated behind closed doors with a level of secrecy that is completely unacceptable in a democratic society. The government of New Zealand traditionally has the right to set down their own laws for the good of public health, consumers, workers and the environment. Leaked details of the TPPA reveal that, foreign investors and firms could sue New Zealand in a private international tribunal if we pass laws that reduce their profits or adversely affect their businesses. We consider this to be inherently anti-democratic. The Green Party will only support a fair, genuinely progressive trade agreement that promotes sustainable development and the creation of new jobs alongside the protection of the environment and human rights (including freedom of association and the right to collective bargaining). We call on our current governments to remove the veil of secrecy surrounding this agreement and to open these negotiations to public input and comment. The Maori Party opposes the TPPA. Our goal is whanau, hapu and iwi reclaiming their rangatiratanga – their power to determine their own future, to maintain their living culture and shared heritage, their links with their ancestral landscapes and natural environments, their identity and status as tangata whenua in Aotearoa. The TPPA is taking us in the opposite direction. Leaked drafts show it undermines our national sovereignty; it allows others to exploit our culture and art for private profit; it limits our government’s powers to protect our rights. You cannot give informed consent to a secret deal, especially not one that undermines our rangatiratanga, and we join the people of Aotearoa and indigenous peoples around the world in opposing the TPPA. MANA is totally opposed to the TPPA. We don’t support agreements, or in this case demand lists, put together by international corporations to suit their interests at our expense. We don’t support the government signing away our sovereignty for some pie-in-the-sky deal which will see ordinary New Zealanders get shafted. What we know from leaked texts is that we’d pay more for goods and services, including medicines, while wages would get screwed down and ever more jobs moved off-shore. We know that mining giants and tobacco corporations would be able to sue us for billions in secret international tribunals if we made policies that put the health of Papatūānuku and people ahead of shareholder profits. And we know that Treaty settlements would return even less than what they return now because the interests of Iwi would be pushed even further down the pecking order. MANA says No Way to the TPPA. The TPPA contains threats to our health system, our public services and public enterprises, our ability to use government purchasing to develop our economy and improve our environment and working conditions, and our right to make changes to our laws and regulations in the interests of most New Zealanders. Each of these is a major concern. So is the absence of genuine consultation, the secrecy in which negotiations are being held, and the fact that it can be adopted by Cabinet without a full public examination and opportunity for comment. But perhaps the greatest concern in the long run is what it represents. This model of agreement increases the power of international corporations and reduces the power of elected governments and their citizens to resist corporate demands. It fails to learn the lessons of the Global Financial Crisis which has demonstrated the enormous damage irresponsible financial corporations can do to the world economy, throwing people out of work, loading governments with debt, resisting change and providing an excuse for even greater cuts in public spending and public services. The TPPA is going in the wrong direction and is the wrong kind of international agreement for working people, New Zealand and the world. 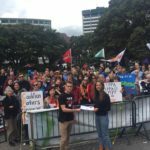 The New Zealand Nurses Organisation (NZNO) isjoining the national rally against the Trans Pacific Partnership this Saturday because it believes that public health is too important an issue to be negotiated away in a secret agreement. It is widely acknowledged that the TPP includes provisions which could increase the cost of healthcare through extending patent periods for medicines and allowing the patenting of treatments, techniques and operations. These provisions could also deter innovation and generic drug production. “The government has given assurances that “the fundamentals of PHARMAC will be protected”,” says ?? “but it has not provided evidence or analysis from our own institutions to support its assurances, nor any opportunity for public engagement with the health sector that allows them to be tested.” The TPP could also deter governments from making decisions that would benefit public health because if private investors such as tobacco companies, were affected they could sue the government. The potential of the TPP to affect the health of New Zealanders for generations to come is as important as the potential economic benefits: both must be subject to public scrutiny. For decades Oxfam has campaigned worldwide to Make Trade Fair by calling for trade rules and intellectual property standards that give poor countries a fair deal to develop, such as protecting their right to access cheap medicines for public health. The Trans-Pacific Partnership Agreement will give corporations wide sweeping power to limit the rights of governments to regulate in the public interest, to disrespect national legal systems and democratic institutions (including environmental safeguards that enable communities to sustainably manage valuable natural resources) and to lift the bar far higher to access affordable medicines. These are crucial development issues, not only for New Zealanders but also for developing countries since this agreement is likely to set the benchmark for future trade agreements. The TPPA has stricter rules than any other free trade agreement and will have serious long term implications for vulnerable communities in our Asia-Pacific region and could have damaging consequences for development that has been achieved over the past decades. It is unacceptable that these issues would be subject to negotiations undertaken in secrecy with no democracy or public consultation. Greetings and solidarity from the Australian Manufacturing Workers Union for your day of action against the TPPA. The AMWU stands against unfair and undemocratic trade deals. The proposed Trans Pacific Partnership Agreement, negotiated in secret and without even minimal oversight by the Australian Parliament, will lead to further deterioration of the position of the Australian people, our industries and communities. The TPPA privileges capital over communities, and puts profits before people. On March 16 in Australia, tens of thousands of people in state capitals and regional centres marched in protest against the policies of the Australian government, including the TPP. We stand with you in your protest, and hope that by our combined action we can defeat this undemocratic and unfair trade deal. Biotech companies are trying to use the TransPacific Partnership agreement to prevent labelling of almost all GMO products and leave consumers in the dark. The TPPA is also a threat to New Zealand’s economic success in being able to market GM-free food to the world. This includes undermining exports to the USA where non-GM foods are set to become one third of the total US market. We must protect people’s choice not to eat GM food, and ensure the economic opportunity for New Zealand as a producer of clean, GM-free food, is not destroyed. To all the people of the United States of America and New Zealand gathering today. We are happy to extend our solidarity message to all of you gathering at the nation-wide rallies on 29 March. We, here in Japan, also will hold a mass rally – “It’s time to withdraw from the TPP negotiation!” – on 30 March in the heart of Tokyo Metropolitan. It is important that people of the three TPP countries stand up at the same timing and raise voices against TPP. The USA is the world largest power and has been leading the TPP negotiations. Japan is also a large economy and is being engaged in the bilateral negotiations with the US, and other TPP countries are carefully monitoring the negotiations. And New Zealand is one of the key players at the end game having a sensitive interest in market access of dairy product into the US and Japan, and concerns about the critical issues of the public health care system and ISDS. The TPP negotiation couldn’t be concluded by the previous year-end and seems to be deadlocked now. But, we should not be off guard, but closely watch the ongoing bilateral negotiations. US President Obama is visiting Asia in April seeking for results at any cost towards the coming midterm election in November.The Japanese government is anxious to conclude the negotiation as early as possible as a crucial tool to stimulate economic growth. Last year, Committees on Agriculture, Forestry and Fisheries of the both chambers of the Japanese Diet adopted the resolution to protect present tariffs of the five sensitive farm products, public health care system and food safety, to oppose to the ISDS provision which may undermine the national interests, and to demand disclosure of information on the TPP negotiations. They also resolved that the government should withdraw from the negotiation when Japan cannot protect the five “sacred” farm products. Japanese civil organizations, labor unions, farmer’s unions, medical groups and consumer’s cooperatives formed a wide range network and have been engaged in anti-TPP struggles with international allies to protect lives, livelihoods and local communities. We believe that these struggles contributed to stop the TPP negotiation to be concluded so far. Our future shouldn’t be at the mercy of global corporations. We shouldn’t overlook global corporations to force their standards and interests to developing countries. Let us take action against TPP together. We wish the success of your nationwide campaigns on 29 March in New Zealand and the USA, and the further progress of your struggles.